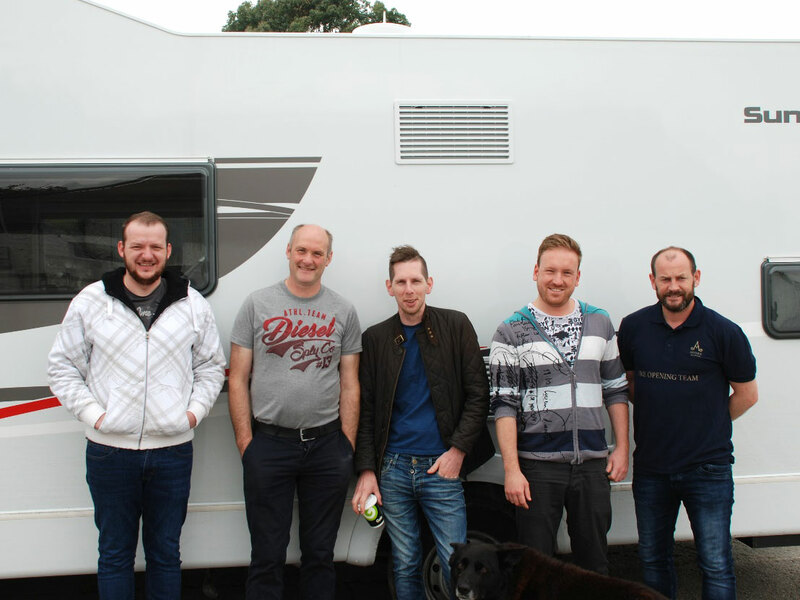 Five chefs piled into a camper and spent nine days crisscrossing the country in search of fantastic food. Adare Manor, a castle hotel in Ireland that just finished a nearly two-year renovation, is set to open next month. In preparation for opening, the culinary team spent nine days traveling the country in a camper in search of the best local products. Here, Culinary Director Loughlin Druhan; Michael Tweedie, Chef de Cuisine at The Oak Room; Neils Van Oers, Chef de Cuisine at The Carriage House; Banquet Chef de Cuisine David McKane; and Executive Pastry Chef Xavier Torne share the highlights of their food adventure. While all of their stops aren’t open to the public, it’s relatively easy to find their favorite products locally—and sometimes even farther afield. 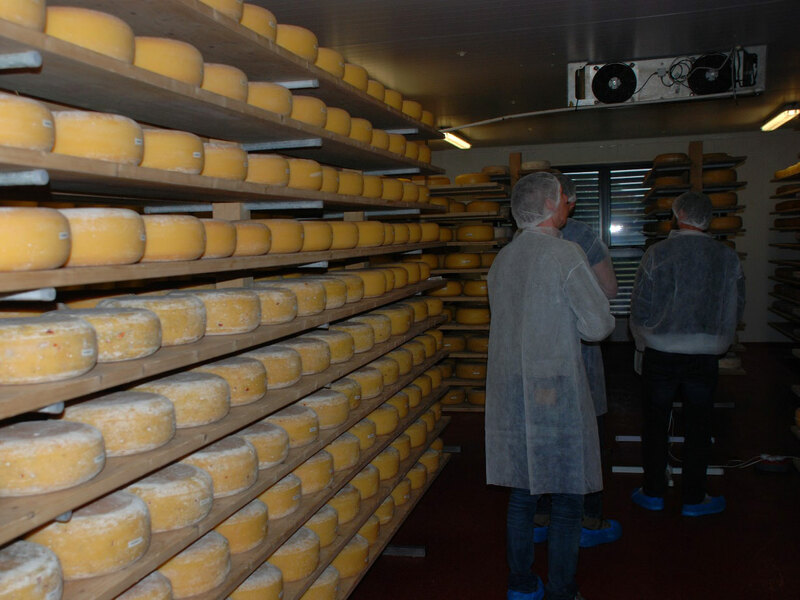 Mossfield Cheese, Offaly: We went here to discover handmade cheeses from Ralf Haslam in Birr. 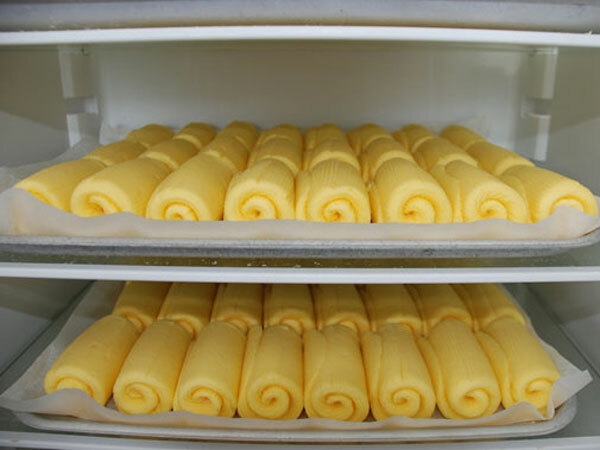 We’ll be serving them as part of our signature cheese course in the Oak Room restaurant. Ralf was one of the highlights of the trip–as much for his sense of humor as for his cheese. He had the whole team in stitches. Abernethy Hand Made Butter, Down: Alison and Will Abernethy make butter in the back of their house, which was very inspiring to watch. It’s an amazingly simple product, made from the finest Irish cream. The duo got their big break after being contacted by chef Heston Bleumental of the Fat Duck in England, to supply them with table butter. Restaurants including Marcus Wearing soon followed, and they became a country favorite. Gubbeen Smokehouse, Cork: This is a family run business making cheese and smoked products in Gubbeen county Cork. We met with Fingal Ferguson and he just oozed with passion. He is running such a huge operation and still has time to make handcrafted chef knives as a hobby on the side–with 600 people on his waiting list! We’re excited to be serving a wide range of Gubbeen products at Adare. 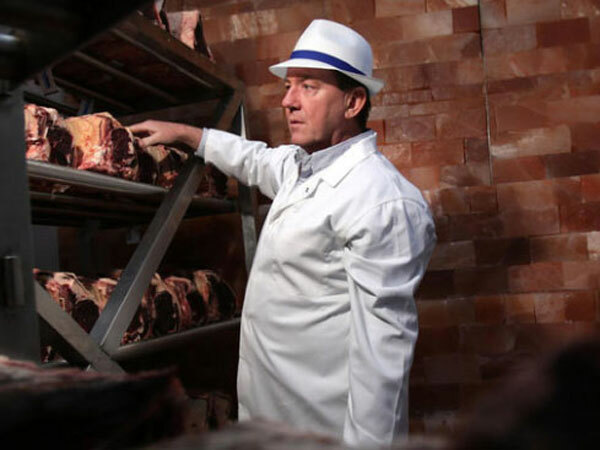 Hannan Meats, Down: Hannan Meats is a family butchery run by Peter Hannan in Moira County Down. They dry age all of their beef in Himalayan salt-lined drying chambers, which is a unique process in Ireland and makes for delicious meat. They ship to customers in Ireland and the U.K. 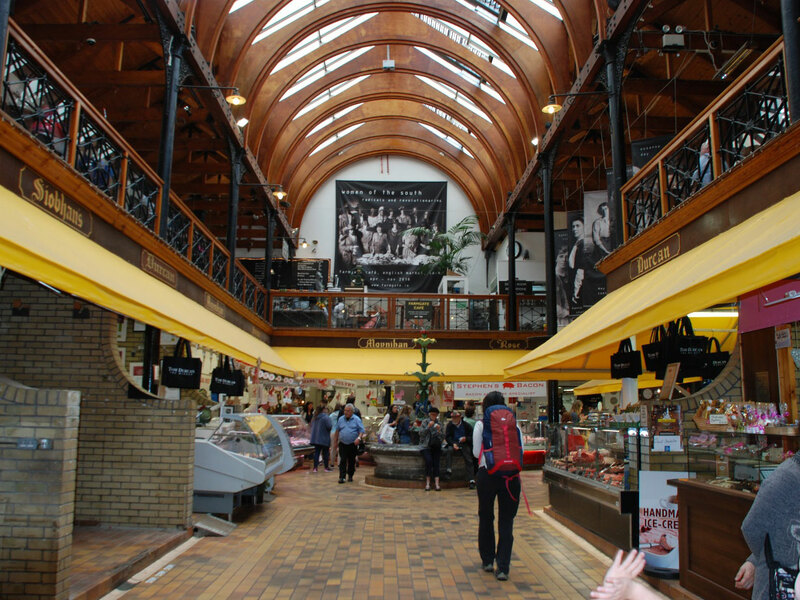 The English Market, Cork: The English Market is a must-see destination for any foodie tourist, or for any chef on a visit to the city of Cork. We were able to catch up with several of our suppliers here, including Liam Quinlan of Quinlan seafood. Forage & Cure, Dublin: It was great to see the collaboration of Irish butcher Rick Higgins and Italian charcuterie maker Antonio Princigallo. 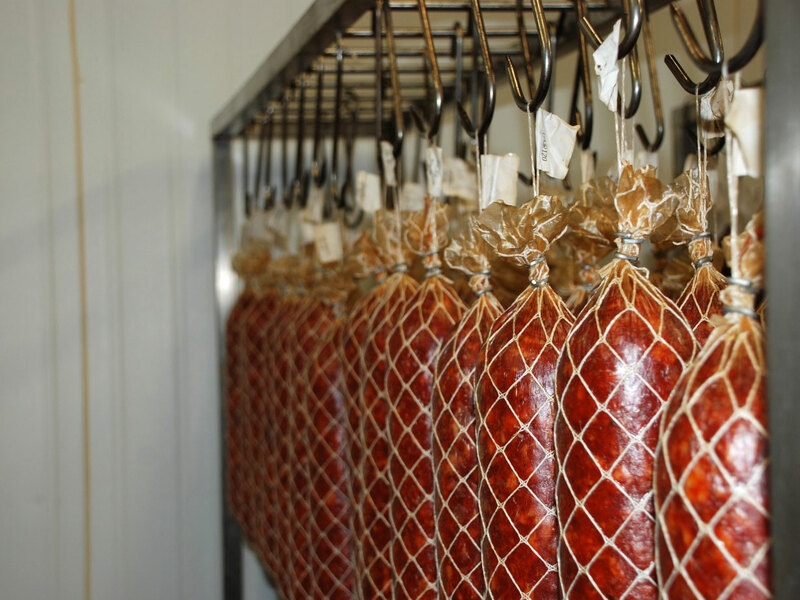 Their goal is to make Irish charcuterie that rivals the quality of its Italian counterparts. It’s working–when Massimo Bottura of the three-Michelin-star Osteria Francescana in Modena tasted their bresaola, he said that it was better than what he has tried in Italy. 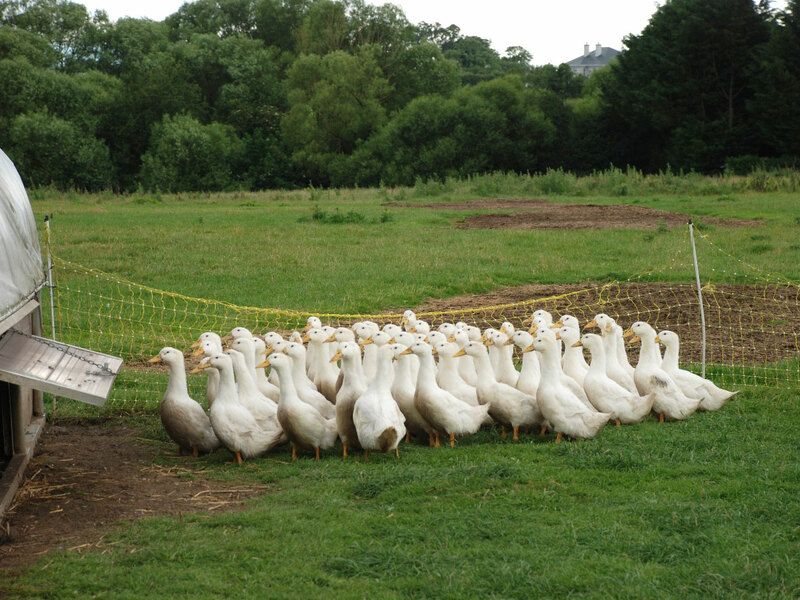 Kilkenny Free Range Duck, Kilkenny: Mary and Tony Walsh from Shellumrath in Kilkenny are rearing and producing amazing free range ducks and geese. We’re not the only ones who think so–they also supply Chapter One in Dublin, Campagne in Kilkenny and Ballyfin Demesen in Laois. 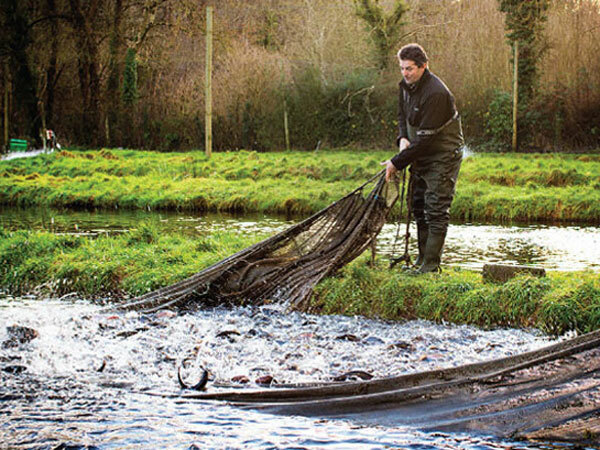 Goatsbridge Trout Farm, Kilkenny: Second generation trout farmers Mag and Ger Kirwan supply fresh trout and incredible smoked fish. Go online to order or book a farm tour. 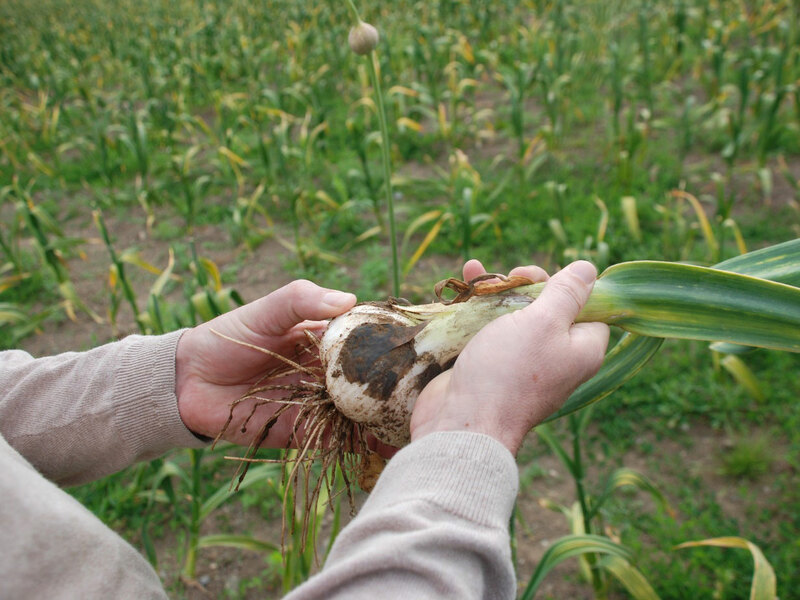 Drummond Garlic, Louth: Peter and Marita Collier from Baltray in County Louth have a 100-acre farm where they produce six varieties of garlic, including our favorite Elephant variety, and they also grow asparagus. We had so many incredible experiences during our trip but our favorite meal was a roast free-range chicken cooked by Niels Van Oers on a little Green Egg. We received some whole chickens from Sean Ring’s farm in Castelcomer, Kilkenny before arriving at our campsite late at night. We all gathered round the Green Egg and had a simple, delicious meal.